Started working on this one last week, for a contest on YouTube. From time to time I get questions from readers. I have decided to put these online so I can share the answers with all of you instead of putting the time in an answer which is sent to one person while it could be helpful to other as well. For this first Q&A post I have two questions. If you have questions of your own do not hesitate to contact me through a comment on this blog or by sending me an email. "Just stumbled across your site while looking for Deathwing Tutorials. Loved the paint scheme on your termies. I see you use a lot of Vallejo colours so was just wondering what colours you used to paint them? Looks like a white basecoat but what steps came next, washes etc. Big ask I know but they are exactly how I imagine Deathwing, gritty and weathered!! I know it was a year ago you posted it but hope you can remember how you did it." To achieve the gritty, striped effect you should paint using the striping technique. This means using the tip of the brush to paint small stripes next to each other, starting from the bottom, going to the top. Each highlight is applied using the same technique, each layer covering about 75% of the previous surface. I hope this was helpful! The next question is asked by Michael from oldguyrpg.blogspot.com. "Hello! I found your site through a search looking for the differences between Winsor Newton's standard Series 7 and the miniature. I'm a D&D gamer and I also paint minis for fun and play. I've been doing some painting and blogging and looking for ways to improve. " "With regards to the difference between the two, I was hoping you could help? 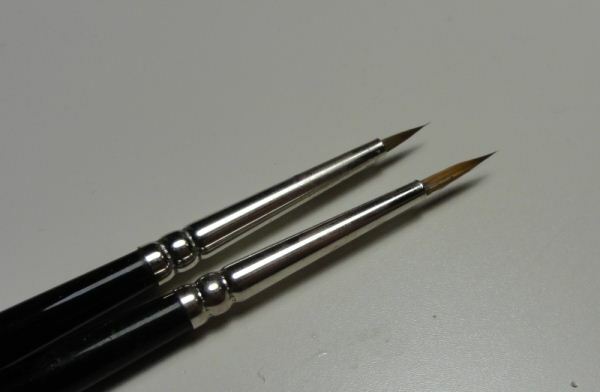 As far as I can tell, it's the diameter of the brush, but I was curious if the standard #1 and miniature #1 made a difference and which was more like the brushes I've been using (Loew & Cornells mainly). Have you used the miniature brush?" Michael, you have come to the right man with this question, since I'm a huge Winsor & Newton Series 7 fan! I even own a couple of Miniature variants. The difference does not lie in the diameter (although the miniature may indeed be a bit smaller) but in the length of the brush. The Miniature simply has a much shorter tip, about 60% in length when compared to the regular. This allows the painter to have much more control. The point is about as sharp as a regular brush, but it appears a bit stiffer because the hairs are shorter. Therefore I rarely use the miniature brush, only for painting eyes and things like freehand designs. A regular brush has a much larger "body"meaning it can soak up more paint, ideal for painting normal surfaces. So this concludes this first Q&A, I hope it was helpful! Since I purchased a new camera during the holidays the doors to full-HD video tutorials are now open. I like the idea of video tutorials since it takes up way less time than writing one, editing in pictures, etc. So here's my first one, I hope you like it. Here it finally is, a picture of my new painting desk. As you might notice there are two desks. There's one for assembly and basing (that's my old desk) and dedicated desk for painting. This white table has regular legs on one side, and drawers on the other but these are mostly empty since my old desk offers plenty of storage space. Also included is a display cabinet and a dedicated photo setup. I used some leftovers from a wooden floor I placed in the bedrooms recently to create a "stadium" for my paint pots. And although I rarely paint during the day, it's a pleasure to sit next to a window. On the far right of this picture you partially see my computer desk, which I use to play music during painting. At first I planned a computer at my painting table, but decided not to do this because it will probably distract me too much. This is the last post concerning the new year, I promise :) After this it's back to usual, in fact I have some interesting stuff lined up. Okay let's get straight to it shall we? The number of visits I had in 2010 was 14.392, that's only 2500 more than 2009, but not that bad if you take into account I've been virtually inactive for a few months. There were also less blog posts, only 34 as opposed to 57 in 2009. 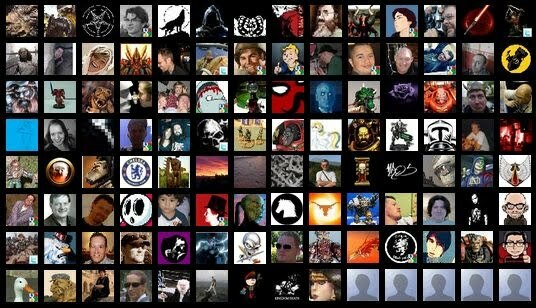 For 2011 I have set myself a target of at least 50 blog posts, preferably 75 or more. The visitor chart above shows two peaks. The one in August was caused by my Red Box Games review, the one in October by the coverage I did on the German GD. Both blog posts are in the top-3 of the most viewed pages in 2010, but neither of them are the number one. That honor goes to my downloadable cloud backdrops which can be used for photographing your miniatures. 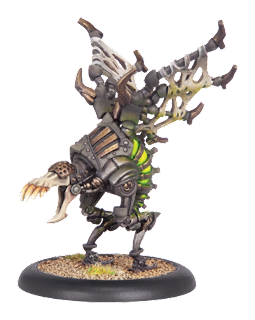 They have proven quite popular, there were a bunch of other blogs and forums linking to the article, and they were even mentioned at the miniature photography classes at GenCon. Apart from the traffic that comes here through links and search engines, I have a decent amount of loyal visitors, about 30% of the traffic comes from returning visitors. Most visible are my followers of course, at the time of writing I have 123 of them. My Facebook page has 87 fans. I know it isn't much compared to some of the other blogs, but for me personally I think that several hundred people who are staying up to date with my painting endeavors is quite a lot! So I want to conclude this rather dull post with a special thank to you, the visitor. Let's make 2011 a great year for painting! Around the same time last year I wrote a great post called Top 10 of 2009. I listed some of my favorite things of the year that came to be, together with some crappy things as well. This year I want to do the same, but I'm lacking a bit of inspiration to come up with 10 good things. I also think it's extremely difficult to put a ranking on them as well. So here's my list, in alphabetical order. enterprise to suit miniature painters. The shop has grown considerably, their booth at Adepticon was downright amazing, and both the 2008 annual (read the review here) and the painting secrets dvd have a very profession feel to them. 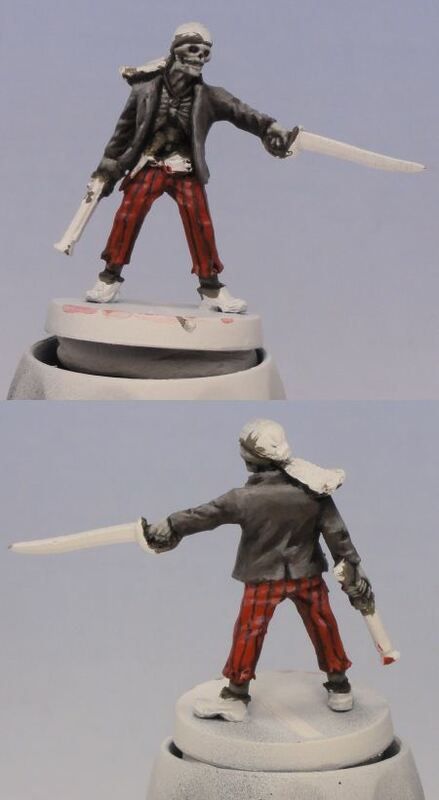 In April I started the Corvus' Miniatures Facebook page. Apart from notifying the fans of the page on new blog updates, I think it's a great platform to share interesting links, such as articles and exceptional paintjobs. Currently the page has 85 fans (thank you all folks), but if you have a Facebook account why not join as well? The following manufacturers have caught my attention in the past year: Bederken Miniatures, Red Box Games and Imbrian Arts. I got some Bederken figures two weeks ago, there will be a review soon. Red Box Games you already know, I reviewed this company back in August. Of Imbrian Arts I yet have to buy some figures, but the resemblance with Rackham is so striking I will probably get some very soon. A fellow blogger once told me about Massive Voodoo "this is the blog which puts all of us to shame", on which I can completely agree. In 2010 the blog has attracted the best German painters, resulting in a huge amount of incredibly qualitative content. Founder Jarhead really puts his soul into the blog, like he does with all the miniatures he paints. Really a blog that is a joy to read and follow. 2010 was an important year for me personally, since my family and I moved into a new house. Work in the house, moving and getting settled deprived me of a lot of time which I would normally spend painting, but in the end there was a great reward: a new room for my painting desk! I still have to blog about this I know, but might have already seen a small teaser in my new year post earlier this week. I went for an extensive two desk layout (one for assembly, one for painting), a dedicated photo studio and a display cabinet. I spent a couple of nights there painting and it's a real joy. This community has been in existence for a while, but in 2010 it really boomed, with some big painting competitions sponsored by manufacturers such as Red Box Games and Kingdom Death. I spent some time on the forums last summer. There are a lot of familiar people there, a very nice community all in all, but I heard some of the regulars complaining that the forum is getting too big and is losing the friendly atmosphere it once had. Also in my last year's top 10, I'm still following his works with great awe. To make things better, Angel started to blog about which colors he uses on his figures and also writes for the Vallejo blog. In 2010 this once great company went bankrupt. The news didn't really come as a surprise, we all knew they were screwing it up for a long while now. For me the company already died when they announced their first line of pre-painted plastics. Just like Rackham this was also listed in last year's bottom list. For those who don't know, Crisis is a big wargaming/miniature event in Antwerp, with a very tough painting competition hosted there. In 2009 they really messed up the organization of the competition, but last year they did even worse: they cancelled it! I decided not to visit the event, just like a handful of other people I know. Those who decided to go anyway were disappointed: less fantasy-related stuff than usual, too crowded, etc. Apparently the event has lost a lot of its magic it used to have roughly five years ago. I've never been a great fan of Privateer Press, although I painted some of their figures. They surely have quite a few good sculpts, but 2010 was filled with crappy releases. Bulky sculpts, silly poses, bad paintjobs... I've seen them do a lot better in the past. As a member of the "old gang" we used to have on CMON and the long-gone Headblast forums, her comeback was really a surprise. Too bad it didn't last long. Her blog is silent and the forum on her website is broken. I know she has some private reasons that keep her from painting, but I sincerely hope she will be back some day. The thing I definitely liked the most is that some companies are really developing themselves, filling up the gaps where others seem to fail to keep me interested. I sure these rising stars will get to shine very brightly in 2011 and beyond. I'm curious about what the new year will bring to our hobby! First of all best of wishes for you and your family. And of course I hope there will be some great painting inspiration for all of us in 2011. I know it's been very quiet (too quiet) on this blog lately. I'm bursting with inspiration, but didn't have the time to use this on a miniature. But I've been working on some miniature related things recently, the most important one is my new painting room which I will showcase very soon. The picture below has been taken there. I will write some posts about the past year and the new one so some plans will be revealed. In the meantime take care and I hope to write to you all very soon!